How Do You Keep Your Immune System Strong? 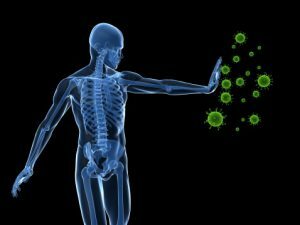 Our immune system protects our bodies from illness and infection. While having a strong immune system is important all year long, there are times of the year that its effectiveness is tested more than other. With cold a flu season upon us, Flushing Hospital wants to offer some day-to-day lifestyle tips to avoid weakening your immune system and keep you healthy. Prolonged periods of intense stress can affect the immune system. Stress causes the brain to boost the production of hormones that weaken the function of the infection-fighting T cells. If you are experiencing high levels of stress, try to adopt stress-relieving activities to boost your immune system. Poor sleep is strongly associated with a weak immune system as it reduces the number of killer cells needed to fight germs. Recent research has suggested that the amount of flu-fighting antibodies produced was cut in half in those who were sleep deprived. Excessive intake of alcohol may reduce the immune system’s response to invading pathogens because alcohol contains ingredients that impair lung functionality, making us more prone to viral or bacterial infections. 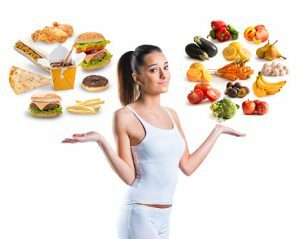 Excessive consumption of refined sugars and highly processed food containing pesticides, chemical additives and preservatives can weaken the immune system. In addition, obesity can lead to a weakened immune system as it affects the ability of white blood cells to multiply, produce antibodies and prevent inflammation. By adopting some healthy lifestyle practices and avoiding certain others, we can give our bodies the best chance of staving of illness this cold and flu season. September 29th has been designated as “World Heart Day”. This observance serves to bring international attention to the dangers of cardiovascular disease. 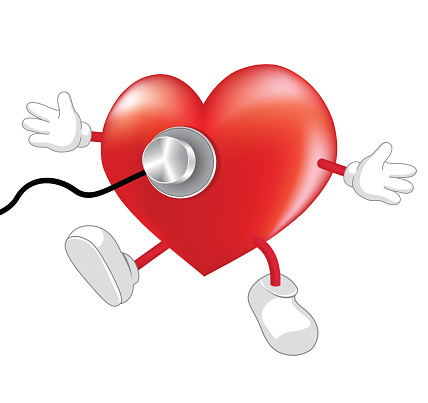 According to the World Heart Federation, over 17.3 million deaths occur each year due to cardiovascular disease. By the year 2030 it is expected that this number will rise to 23 million. This makes it the leading cause of death in the world. The most common cardiovascular diseases include coronary heart disease (heart attack) and cerebrovascular disease (stroke). It is very important to know the warning signs of heart disease. For instance, a person who is experiencing a heart attack will often experience chest pain (fullness, squeezing, pressure), discomfort in areas of the upper body ( neck, jaw, arms, back), shortness of breath, and may also experience nausea, lightheadedness, and cold sweats. A person who is experiencing a stroke may have sudden trouble seeing, sudden confusion, a severe headache, loss of balance, trouble speaking, and sudden numbness and weakness of the face, arms and legs that is often just one sided. September 22nd is designated as National Falls Prevention Awareness Day. This observance serves to increase awareness and to educate the public about the risks of falls and how to prevent them from happening. 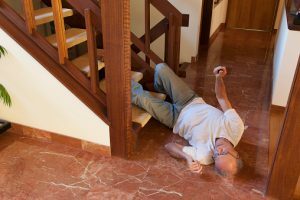 According to the National Council on Aging, falls are the leading cause of fatal and nonfatal injuries for older Americans. If you would like to schedule an appointment with a physician at Flushing Hospital Medical Center to discuss fall risk prevention, please call 718-670-5486. If you have received a diagnosis from your doctor that confirms you have celiac disease; it is natural to wonder what comes next. 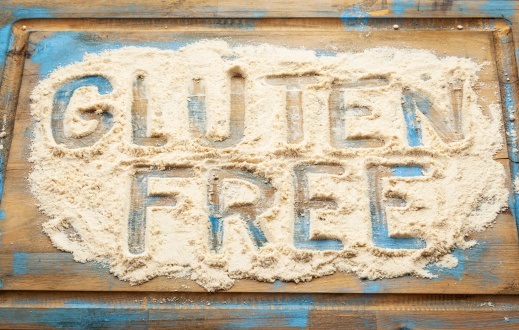 Many doctors will offer guidelines which may include tips to live gluten-free. While these guidelines are essential, it is also very important that you truly understand your medical condition. According to the Celiac Disease Foundation, celiac disease is defined as, “a genetic autoimmune disorder where the ingestion of gluten leads to damage in the small intestine.” It is estimated that the disease affects one in every one hundred people worldwide. If left untreated, celiac disease can cause long-term health conditions such as gall bladder malfunction, infertility or miscarriage, pancreatic insufficiency, early onset osteoporosis or osteopenia as well as vitamin and mineral deficiencies. Discarding of any food that contains gluten. 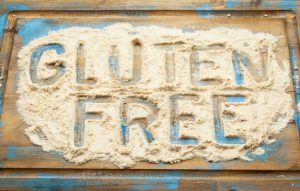 This means sticking to a strict diet that excludes wheat, barley, farina, oats, rye and other items that are known to have gluten. Excluding certain items from your diet may deprive you of some nutrients; it is recommended that you speak to your doctor about which vitamins and dietary supplements you should take. Evaluating the ingredients in medications; some may have small amounts of gluten. 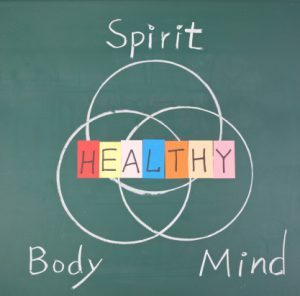 Taking care of your body by exercising and implementing more fruits and fresh vegetables into your diet. Following up with your physician or dietitian as recommended. This is important as it will help them to monitor your nutritional intake and check for deficiencies. Finding resources that can help you transition or stick to new your lifestyle, such as your doctor, support groups, organizations such as the Celiac Disease Foundation or a local hospital can help make life after your celiac diagnosis a little easier. Flushing Hospital Medical Center supports National Celiac Awareness Day. This observance falls on September 13 of each year and was created to help people learn more about celiac disease and how it impacts lives. Yoga has been practiced for thousands of years to promote flexibility and breathing exercises through simple meditation while holding simple to complex body poses. One of the most common reasons people practice yoga is for relaxation, but recently researchers have been discovering health benefits associated with yoga. Most yoga practitioners have been noticing other benefits from yoga including boosting their immune system or just feeling more relaxed and at ease. Recently, Western science is beginning to provide some concrete facts on how yoga improves health, heals aches and pains, and keeps colds away. Once you understand them, you’ll have even more motivation to step onto your mat. Each time you practice yoga, you take your joints through their full range of motion. This can help prevent cartilage and joint breakdown that leads to arthritis. Yoga increases blood circulation especially in your hands and feet. Yoga also gets more oxygen to your cells, which helps them function better. In people with diabetes, yoga has been found to lower blood sugar in several ways: by lowering cortisol and adrenaline levels, encouraging weight loss, and improving sensitivity to the effects of insulin. Stimulation is good, but too much of it can be overwhelming. Yoga can provide relief from the energy demands of modern life. Yoga also includes cleansing practices that keep allergies and viruses at bay. This element of yoga entails cleaning the nasal passages with salt water to remove pollen and viruses from the nose. Yes, yoga increases flexibility and reduces stress, but the practice can do more than help you twist your body into pretzel shapes and find inner peace. It has existed for thousands of years and has become increasingly popular as a gym alternative to maintain healthy cardiovascular and circulatory health. It is not encouraged to use yoga in place of other medicine, especially without consulting with your physician first. One of the best tools in preventing suicide is to know the risk factors. 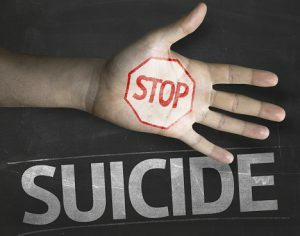 Over 90% of people who attempt suicide live with depression or another mental disorder. Alcohol or substance abuse is often a contributing factor. Adverse reactions to traumatic events or stress can also lead to someone wanting to take their own life. September 10 has been designated World Suicide Prevention Day. Many organizations from around the world have joined this cause. Flushing Hospital’s supports their efforts and the hospital’s Department of Psychiatry offers many inpatient and outpatient services to help those in need. 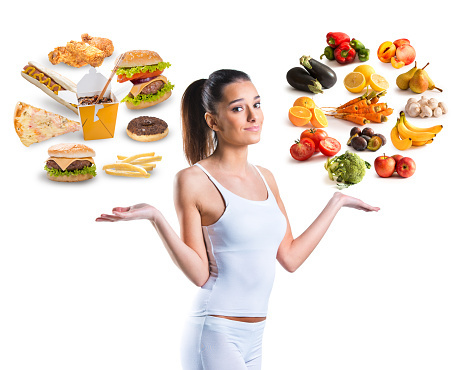 Juggling home and work is a struggle and maintaining healthy eating habits while we are on-the-go can add to its level of difficulty. Or should it? Plan your menu – Planning meals well in advance will help make sure your meals are healthier and well-balanced. Avoid fast food baked goods for breakfast – Instead of choosing a wholesome “looking” muffin, reach for a yogurt smoothie. It will provide you with vitamin C and potassium, high fiber and keep you full from breakfast to lunch. Prepare Coffee or Tea at home – While waiting in line at your local coffee shop, you may be more apt to choose an unhealthy breakfast choice. Skip the impulse purchase and brew your coffee or tea at home. Eat lunch – When you’re busy, it’s easy to lose track of time and skip lunch. 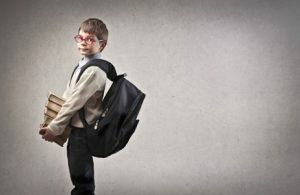 No matter how heavy your workload, make time to leave the office and eat your brown bagged lunch. Starving through lunch will only lead to overeating later. Dine-out – You are bound to grab a meal outside of home due to family activities and busy schedules. That doesn’t mean you have to leave your healthy choices behind. Eat moderately and divide your plate into two servings. Ask for a bag to take your leftovers home. Only eat until you are satisfied, not stuffed. Eating on the run is never ideal, but it will inevitably happen to most of us. You need to prioritize time to eat healthy and although a home cooked meal isn’t always possible, that doesn’t mean you can’t make good choices on the go.